FOX has renewed critically acclaimed thrilling drama FRINGE for a fourth season, it was announced today by Kevin Reilly, President, Entertainment for Fox Broadcasting Company. Since moving to Fridays (9:00-10:00 PM ET/PT) in January, FRINGE is averaging a 2.2/7 among Adults 18-49 and has established itself as Friday’s No. 1 series in the core adult demographic. The compelling third season continues tonight, Friday, March 25 (9:00-10:00 PM ET/PT), on FOX. In the “Bloodline” episode, the intensity of life “over there” accelerates as a pregnant OLIVIA (Anna Torv) is kidnapped and finds herself in mortal danger. As the Fringe Division races against time to find her, agent LINCOLN LEE (guest star Seth Gabel) receives some heartbreaking news as WALTER (John Noble) stops at nothing to preserve the new branch of the Bishop family tree. Created by J.J. Abrams & Alex Kurtzman & Roberto Orci, FRINGE is produced by Bad Robot Productions in association with Warner Bros. Television. Abrams, Bryan Burk, Jeff Pinkner, J.H. Wyman and Joe Chappelle serve as executive producers, while Kurtzman, Orci and Akiva Goldsman are consulting producers. Additionally, Pinkner and Wyman serve as the series’ showrunners. Become a fan of the series on Facebook at www.facebook.com/fringe and follow the series on Twitter at www.twitter.com/fringeonfox (@fringeonfox). 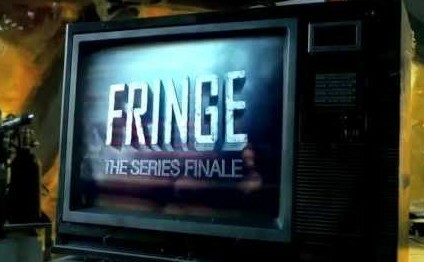 Fringe: FOX TV Show Moves to Fridays on January 21st; Doomed to Be Cancelled? it is sad if they cancel Fringe. I find the show tobe very good. also I do not understand why they canceled v. it was just starting to really heat up and they canelled it ??? and where are the sifis ???? thats it no more sifis ??? something is very wrong not to have even one sifi ? ?